In honor of Halloween, the weekly photo challenge asks us to share our treats and indulgences. Being able to enjoy a serene morning on my stand-up paddle board, feeling like I have the Sea of Cortez all to myself here in La Ventana, Mexico, was a treat I never expected to experience. As a treat for 2016, we travel back to this area for a two-week vacation of windsurfing and SUP-ping. I share a December birthday with my lovely sister-in-law who is a whiz in the kitchen. 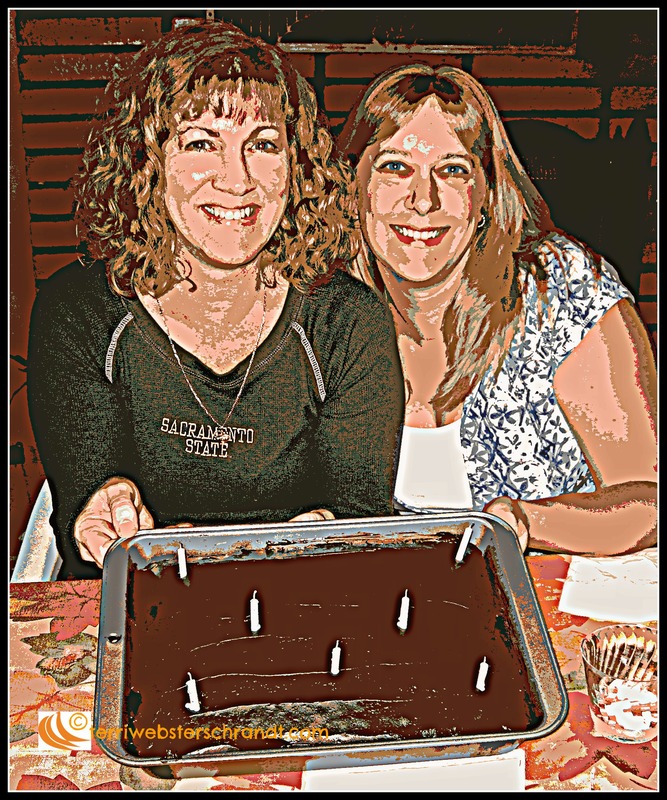 She baked up a decadent chocolate cake just for us a few years ago. And eating treats like this is why I must stand-up paddle every chance I get! You would think so! I’ll have to save the paddling for Mexico this winter. Wonderful photographs and of course your spirit of adventure amazes me, Terri. Hi Steph, your comments went to my spam folder! Thanks for your comments, I appreciate them! I am in awe of you and of your writing and photography. I wish there was a way to get a publicist to be interesting in helping me travel to review place for the disability community I write for (and am a part of) because that would be….unreal/awesome, etc. Cathy, to are tooooo kind! I’ll bet you could work something out. You should check out any parks and recreation agencies to see if they serve any disabled populations and perhaps work out something with them. A good idea. I know so many bloggers going on these Viking Cruises and I wish I was asked. The disability community would love to read about this…and I’d love to go. Anyway, thanks for the wonderful suggestions. I’ll give it a whirl! That’s really good advice Terri, after all, life’s too short not too! Isn’t it though? Thank you! I’m a December birthday too. End up having a party every year for all us close to Christmas kids. It is a treat. I may have to try stand up paddling. Thanks. I’ll take you up on it. Sagg Capricorn Best of both worlds. That first image is just sublime and I would love a piece of that second image. How cool that you share a birthday with a sister-in-law. And you are correct, better to enjoy treats while we can. Certainly my philosphy. Lisa, you would totally get the quiet time on the ocean. Have you ever SUPed? I think you would love it. Our older daughter tried stand-up paddling recently and really enjoyed it. Lovely photos. Thank you, it really is a blast and a great workout too! Hey that’s a bit naughty! But I guess the paddle boarding cancels it out 🙂 My indulgence is spendng hours lost in photography down at the local river near my home.